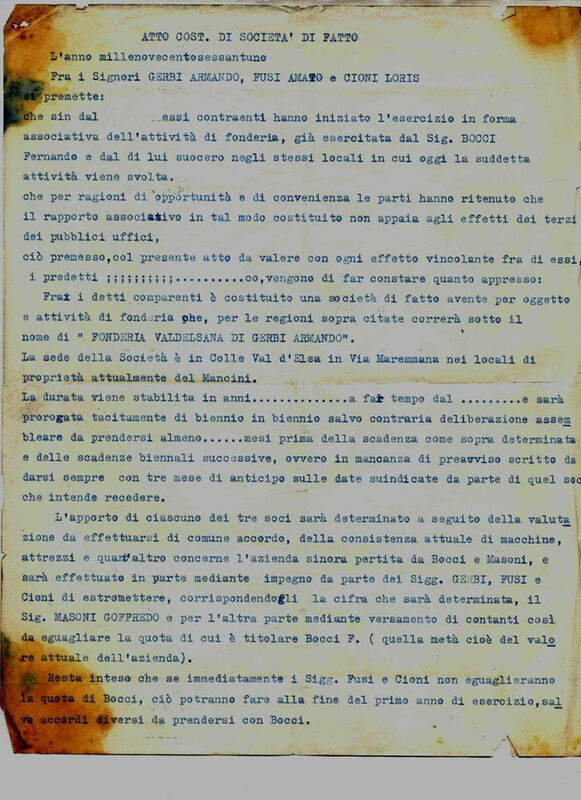 Fonderie Valdelsane dates back to 1961, when the passion and commitment of its three founding members was concretised through the establishment of a small craft enterprise in Colle Val d’Elsa, in the heart of Tuscany. A small company, but with great prospects. 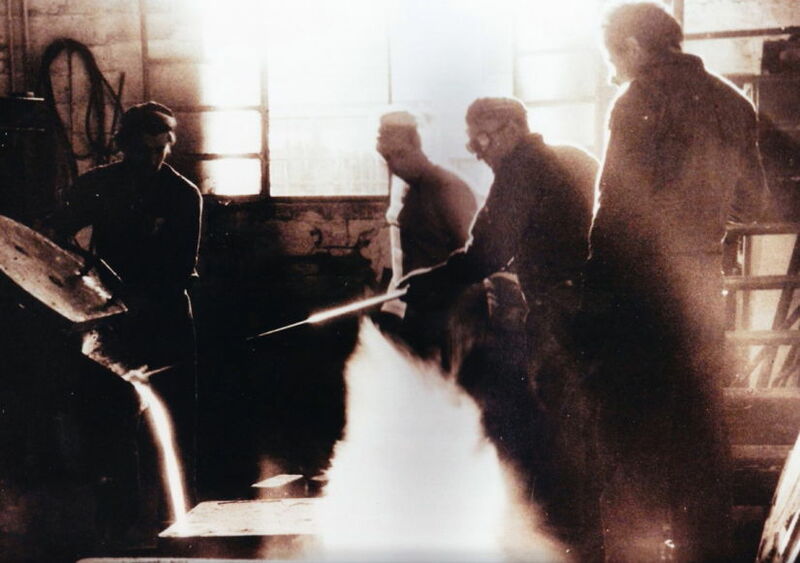 Given the intense glass making activity in the area, linked to the production of choice wine and oil, the company chose to specialise, since its very start, in the production of special cast iron and bronze castings for moulds used in container glass manufacturing. 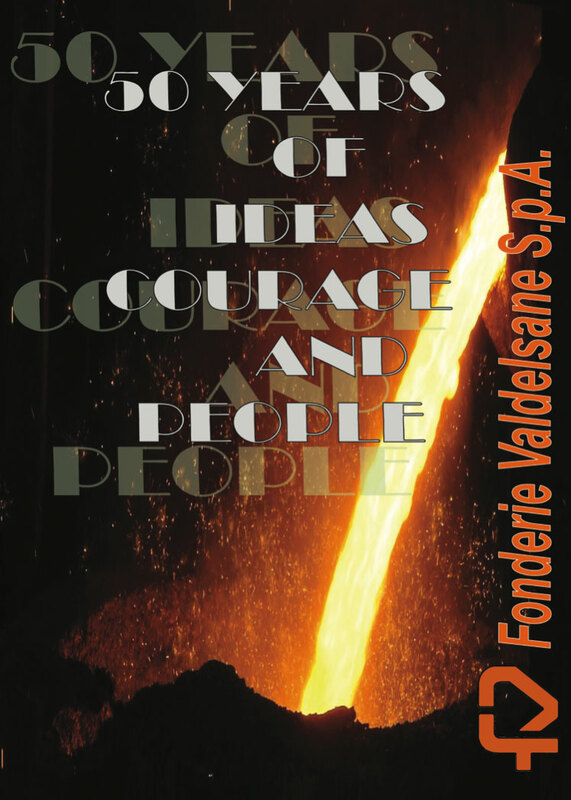 Constant growth soon led Fonderie Valdelsane to go beyond regional boundaries first, then the national borders, and in the 1990s the Foundries became a reference point for all Italian and European professionals in the field. The constantly developed and improved quality of the different types of cast iron, the use of state-of-the-art production methods, quick deliveries, and the consequent increased demand from an ever-expanding market have raised the need to invest in continuous extension works and automation. The current headquarters, inaugurated in 1990 in Monteriggioni, have been enlarged and upgraded several times. In the short time-span from 2013 to 2015, the roofed area of the facilities increased by 2,000 square metres, reaching a total surface area of about 8,000 square metres. 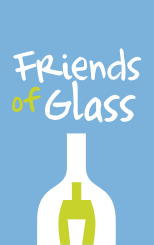 Over recent years, the company has consolidated its leadership in the glass sector owing to significant investments in new technologies, automation and human resources, as well as strong collaborations with its partners. 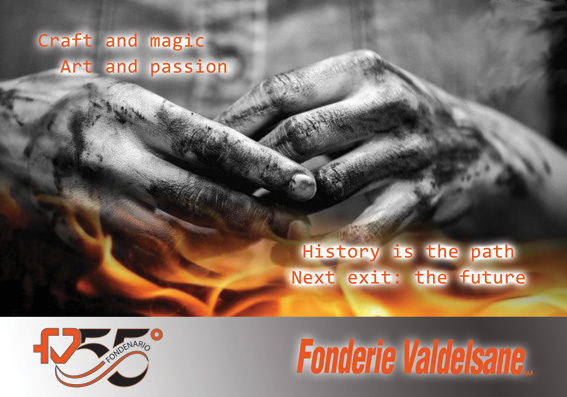 The ISO 9001 (since 1996) and the ISO 14001 certifications, the numerous acknowledgements with respect to Quality, Safety and Environment, and the daily improvements to the supply chain, make it possible for Fonderie Valdelsane to look to the future with fresh enthusiasm.